Personality! 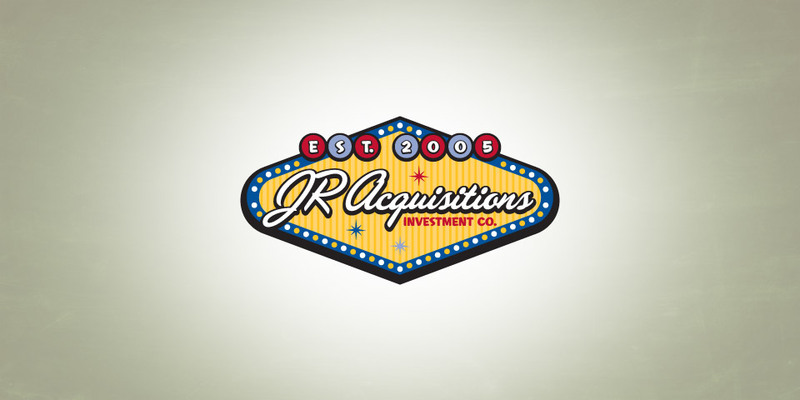 That’s what JR Acquisitions was looking for when they came to Boom Creative. In an industry that is sometimes boring, staid and oh-so-conventional, they wanted to stand out. We delivered. 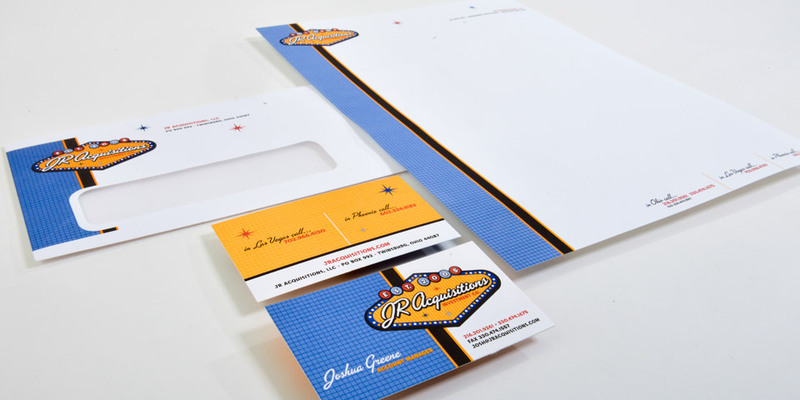 We created a corporate identity system that was smart and functional. 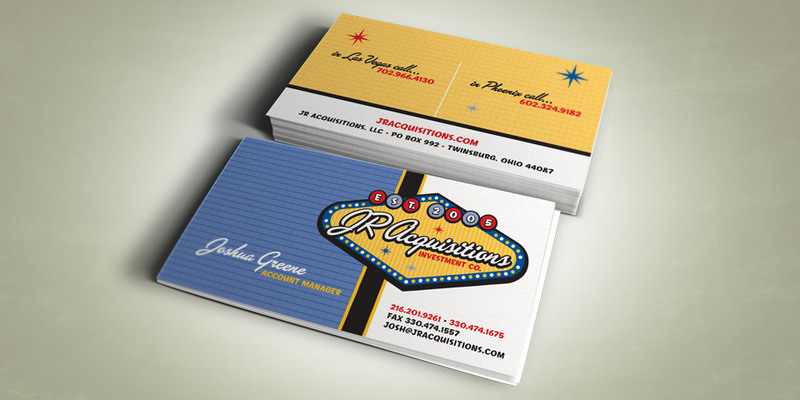 With offices in Ohio, Arizona and Las Vegas… Boom Creative knew exactly how to hit the mark! What personality do you want to capture for your business? We are a graphic design firm that makes you stand out by capturing the true nature of who you are.